Tomonobu Itagaki, former director of Tecmo's Team Ninja, has reached an agreement with his former employer over their mutual lawsuits. Back in June last year Tecmo's Team Ninja boss Tomonobu Itagaki unexpectedly left the company days before the release of Ninja Gaiden 2, filing a lawsuit against them for "unreasonable and disingenuous statements" made by president Yoshimi Yasuda regarding compensation and bonuses. There has been little information regarding the case since, but it seems that Tecmo and Itagaki have reached a settlement. 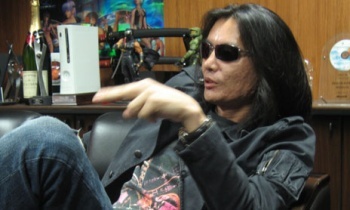 In a statement made to 1up, Itagaki said: "I, Tomonobu Itagaki, announce that a settlement was amicably reached on February 26th, 2010 upon a mutual agreement with respect to the lawsuit for remuneration, etc. that I filed against Tecmo, Ltd. claiming the payment of unpaid remuneration, and unpaid wages, and payment of compensation for dismissal, etc." The outspoken designer, who is responsible for creating the Dead or Alive and modern Ninja Gaiden franchises, also thanked his fans for their help and encouragement , and promised that his next game would be better than anything he'd made in the past. He rounded off the statement by asking fans to "continue your unwavering support for me."